All Paddlers. Everywhere Performance and fit are always our top priorities when developing new gear. Features such as the unique foam construction in our PFDs and the cut on our new jackets are just two examples where form and comfort compliment the latest technology and materials to create products which we see as a huge step forward in paddling gear. But it’s not just about function, we also understand the importance of how a product looks. Our new styles and colourways bring something fresh and exciting to the water. We couldn’t claim to be focused upon designing products to fit perfectly if we were selling the same products to male and female paddlers. This year we introduce a complete range of female specific paddle jackets and PFDs, offering more choice than ever before. Now, everyone can experience the ultimate combination of performance and fit. The Big Paddle event which we hosted at Symonds Yat, UK, in May, brought together a huge range of paddlers of all ages and disciplines to go for a paddle on the beautiful River Wye. It was a huge success and for me seemed to sum up what we aim to achieve at Palm. We draw from a huge amount of industry experience and knowledge, but at the end of the day it’s all about getting out there on the water. It’s paddlers that we make gear for, and we like to stay constantly involved with the paddling community. Both to give back what we can, and to find our inspiration. Check out our full product line up in these pages, you’ll find lots of new gear, as well as some tweaked classics. We hope you enjoy using our products, we’ve enjoyed making them and look forward to seeing them out on the water! Safety on the water is our primary concern. In order to provide both safety and comfort during use, a PFD must fit the user perfectly. For this reason fit has always been the top priority in our designs. We make PFDs so comfortable you won’t even know you’re wearing them. 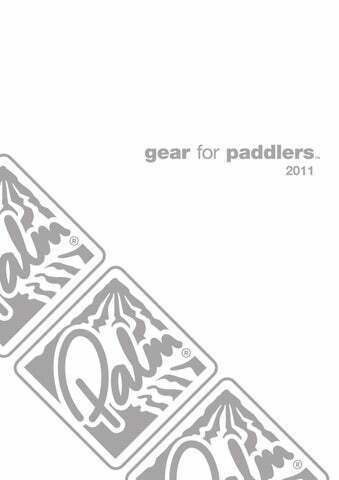 Palm have always led the way in paddlesport specific personal floatation. Since their release last year, the Amp and Extrem Vest have become the first choice for paddlers around the globe. We’re now proud to add the Luna to the range, with all the features of the Extrem, refined for a female specific fit. Also new to the lineup is the Women’s Halo touring vest, featuring Flex Formed Foam and an elegant low profile strap system. The Easy Classic & Freedom Classic have been updated this year for durability, now featuring our 3D waist system. The industry leading Rescue 800 rescue vest has now been joined by the Rescue 825 and Rescue 850, both developed with rescue professionals to provide the ultimate safety and functionality. Palm’s premium PFDs are constructed from pre-shaped wrap around foam sections which hug the torso, allowing us to combine a high level of buoyancy with a superbly comfortable and unrestrictive fit. Whitewater expedition paddling, raft guiding, river leadership and instruction. Whitewater expedition paddling, raft guiding, river leadership. Whitewater and river running, freestyle, instruction, group use. River running, freestyle, slalom, flatwater/marathon racing. Ocean expedition paddling, sea kayaking, touring, open boating, ocean leadership and instruction. Kayak and canoe touring, sit-on-top paddling and kayak fishing. Kayak and canoe touring, surfing, sailing and general whitewater. Kayak and canoe touring, sit-on-top paddling, sailing and kayak fishing. Kayak fishing, kayak and canoe touring, sit-on-top paddling, recreation pad­dling and instruction. Recreational kayaking and canoeing, groups/hire, sit-on-tops, sailing and kayak fishing. Entry level kayaking, families and groups, sailing and sit-on-top paddling. Flatwater kayaking and canoeing, general watersports. Outdoor centres, groups, moving water, coasteering, rafting, open canoeing. Outdoor centres, groups, general water sports. This year we’ve created a complete new range of whitewater and touring paddle jackets. From new fabrics and construction methods, to beautifully realised design details such as the asymmetric zip featured on our new touring range, you’ll find our new jackets brimming with the latest innovation and finished with uncompromising quality. Unsurpassed fit and comfort whilst paddling were amongst our top priorities in the new jacket designs, which is why we now offer a full range of whitewater and touring jackets designed specifically for women. We are also proud to present the new Cascade, our fully featured entry level immersion suit with a shoulder zip for ease of use. For paddling comfort, form and fit are of upmost importance. By completely re-thinking the way a jacket is constructed we’ve managed to create a cut which perfectly compliments the body’s form during paddling, whilst simultaneously reducing the number of seams to improve the garment’s longevity and durability. Extreme whitewater, multi-day expeditions and cold weather paddling. Whitewater paddling, multi-day trips, instruction. Exposed ocean paddling, sea kayaking expeditions, coastal exploration. Cascade New Entry level immersion suit with a diagonal front entry zip for easy access. An excellent multipurpose suit with no skimping on features. Whitewater, sea kayaking, touring, kayak fishing and general cold weather paddling. Expedition paddling, river running, steep creeking, playboating, surfing, raft guiding, river leadership and instruction. Playboating, river running and surfing. River running, steep creeking, playboating, surfing, raft guiding, river leadership and instruction. River running, playboating, surfing, raft guiding, river leadership and instruction. An entry level women’s jacket at a fantastic price. A simple, no-nonsense package that retains the great sculpted fit and looks of our more feature rich jackets. Ocean crossings, multi-day expeditions, coastal touring. River running, playboating, surfing, raft guiding. Touring, kayaking, canoeing, hiking, cycling, sailing, multi-activity. Touring, flatwater paddling, sailing, general watersports. Flatwater paddling, sailing, windsurfing, general watersports, instruction and coaching, group use. Warm weather paddling, flatwater paddling, sailing, windsurfing, general watersports, instruction and coaching, group use. Centres, groups, rental and general water sports. Centres, groups, rental and general watersports. Expedition paddling, river running, sea kayaking, open canoeing, steep creek­ ing, playboating, surfing, river leadership and instruction. River running, sea kayaking, open canoeing steep creeking, playboating, surfing, river leadership and instruction. River running, sea kayaking, open canoeing, steep creeking, playboating, surfing, river leadership and instruction. Kayak touring, sea kayaking, open canoeing. Kayaking, canoeing, touring, sailing, general watersports. River running, freestyling, surfing, general watersports. Thermal layering, ideal for wearing under immersion suits. River running, inland and coastal touring, playboating, coaching and instruc­tion, surfing. River running, inland and coastal touring, coaching and instruction, group use. Use with Dagger Dynamo kayak, river running, surfing, playboating, centre/club use. Our neoprene wear offers excellent insulation from the elements in styles that can be used in a wide variety of situations and sports. From full suits perfect for surf and coasteering, to longjohns and paddle shorts, our neoprene wear features high quality flatlock stitching and quality finishing detail. The line includes a comprehensive range of products for women and children. We’ve expanded our wetsuit line up this year to include the excellent value, entry level Moby range of beach wetsuits. Now from spring and autumn to high summer, from shorties to full length suits and longjohns, in men’s, women’s, and children’s sizes, we’ve got a suit to keep you warm in the water. Kayaking, canoeing, rafting, sit-on-tops, surfing, windsurfing, kite surfing, water skiing, diving, snorkelling, wakeboarding, coasteering, sailing, general watersports. Female specific, kayaking, canoeing, rafting, sit-on-tops, surfing, windsurfing, kite surfing, water skiing, diving, snorkelling, wakeboarding, coasteering, sailing, general watersports. This 3 mm flatlock stitched, zipless longjohn offers ultimate comfort. A low profile 3 season wetsuit with a close fit. Kayaking, canoeing, sit-on-tops, sailing, general watersports. Kayaking, canoeing, sit-on-tops, surfing/windsurfing, wakeboarding, sailing, general watersports. Kayaking, sit-on-tops, surfing/windsurfing, wakeboarding, coasteering, sailing, general watersports. Kayaking, canoeing, sit-on-tops, surfing/windsurfing, wakeboarding, coasteer­ing, sailing, general watersports. Beach wear, surfing, swimming, sit-on-tops. Watersports wear, kayaking, canoeing, sit-on-tops. A women’s cut shorty suit ideal for the beach. Ideal for surfing, swimming or boogie boarding in the waves. A perfect way to avoid chills when the weather is not quite warm enough for a swimsuit. The importance of good footwear for paddling is all too often underestimated. Comfort whilst in your boat, protection when on shore and traction in wet conditions are vital. From granite bedrock to peat bog, Palm footwear will make all the difference to your paddling experience. The Gradient Boot was launched in 2010 and is fast becoming the number one choice for paddlers all over the world. It’s now seen a year’s use by some of the world’s top paddlers and the positive reviews have been flooding back to us. It’s all about the sole. The sole of the Gradient boot is what sets it apart from the competition; it’s made from a super soft sticky rubber compound and moulded in a rugged shape designed to grip on a variety of terrain. The heel is shaped to fit comfortably inside your kayak, and the sole features razor siping for unrivalled grip on smooth wet rock. Sea kayaking, touring kayaking, canoeing, kayak fishing. Sea kayaking, touring kayaking, canoeing, kayak fishing, dinghy sailing. Kayaking, canoeing, rafting, surfing, coasteering, sailing, general watersports. Creeking, expeditions, multi-day trips, river hiking. Creeking, river running kayaking, canoeing, rafting, coaching, coasteering, sailing, general watersports. Kayaking, canoeing, surfing, sailing, general watersports. Kayaking, canoeing, surfing, diving, general watersports. The latest safety techniques are constantly developing and improving, and we are committed to not just keeping up with, but leading the way in development of paddlers’ safety gear. At Palm we’ve always worked with the most experienced paddlers and rescue professionals to ensure that Palm throwlines and rescue gear represent the very latest in safety design and practices, as well as the industry standard for quality. This year sees new, even brighter colours for our throwbags as well as a wider neck for easier re-packing. The lightweight React bags now also feature belt loops for use with the Zambezi waist belt. The Safety Tape – put one in your pocket! The coiled webbing safety line is fast becoming a standard addition to the whitewater paddler’s front pocket. Developed by Palm team members, the technique of rolling up a length of tubular webbing to fit in your PFD provides you with a compact, accurate, and easily deployed safety line. Our safety tape comes with a tightly sewn loop on one end for effective attachment of a karabiner of your choice. Technical water rescues, rescue of swimmer in water, swiftwater rescue courses, emergency services, raft guiding. Rescue of swimmer in water, technical water rescues, swiftwater rescue courses, emergency services, raft guiding. Rescue of a swimmer in water, technical water rescues, raft guiding. Retrieval of a swimmer in water, raft guiding. Not suitable for static rescue usage. Waist carry of Palm Pro throwlines. Expedition sea kayaking, instruction, inshore kayak towing and open canoe tows. Instruction and centre use, inland kayak and open canoe tows. Instruction and centre use, inshore/inland kayak and open canoe tows. Extension device, safety and rescue situations. Integral stainless Stainless Steel O-ring for PFD harness attachment • High visibility elasti­cated tubular webbing extends to 75 cm • Bartack stitched • Neoprene grip reduces karabiner slip • Recommended for use with SA219 karabiners. High visibility elasticated tubular webbing extends to 75 cm • Bartack stitched • Neoprene grips reduce karabiner slip • Recommended for use with SA219 karabiners. Safety and rescue, technical water rescues, swiftwater rescue courses – not suitable for climbing. Safety and rescue, technical water rescues, swiftwater rescue courses. Not suitable for climbing. Kayaking, coaching, river, creeking, club, centre. Kayaking, canoeing, rafting, sailing, general watersports. When you’re out on the water in demanding conditions, it’s the little things that make all the difference. Subtle yet thoughtful touches, such as the pre-bent fingers on our gloves or hands free tightening system on our pogies, will make your paddling experience that much more comfortable and rewarding. All our accessories come with Palm’s trademark attention to detail and high quality finish as standard. Cold water paddling, wind protection, kayaking and canoeing. Rescue services, swiftwater rescue, manual handling. Kayaking, canoeing, rafting, general watersports, rescue, surfing. A variety of watersports and activities. Under helmet insulation, kayaking, canoeing, rafting, general watersports. Kayaking, canoeing, rafting, general watersports. Kayaking, canoeing, rafting, sailing, general watersports, general storage. Storage of personal items, cash and cards. Buried in the boot of your car, crammed in the back of your boat or even strapped to a mule. Your gear goes through a lot to get to its destination and you want it to arrive in the same state it left home. We provide a huge range of transport and storage solutions, so whether you need to keep that first aid kit dry, pack a month’s worth of expedition supplies, or just keep that wet kit away from your dry car, we’ve got the bag for you. During use, your shoes will accumulate mud, grit, and bacteria which will damage the rest of your kit and make it smell. We recommend using a small drybag – an Aero HD is perfect – to pack your shoes in, to keep them from contaminating the rest of your gear. Waterproof Storage of fragile items. Transportation of touring kayaks, sit-on-tops and canoes. Transportation of touring kayaks and canoes. The Drift range is built around our beautifully designed asymmetric blade. Injection moulded in glass reinforced polypropylene, and supplied with a three year guarantee. The blade is then mounted on one of four different shaft options to suit a variety of paddlers. From the fantastic value one piece aluminium shaft to the Drift Pro with its length and feather adjustable two piece glassfibre option, if youâ&#x20AC;&#x2122;re looking for a great value paddle, the Drift range has the one for you! Whitewater, creeking, freestyle, surf kayaking. Touring, day touring, ocean paddling, recreational paddling, sit-on-tops, inflat­ able kayaks. Day touring, recreational paddling, sit-on-tops, inflatable kayaks. Junior/small user paddle, recreational kayaking, touring kayaking, introduction kayaking, group/centre use, sit-on-tops. Instructor spare paddle, sit-on-tops, recreational kayaking. River running, surf kayaking, easy whitewater, intermediate kayaking, group and centre use. Introductory kayaking, group/centre use, sit-on-tops. Flatwater and moving water canoeing. Introductory canoeing, group/centre use, sit-on-tops. A basic robust canoe paddle with aluminium shaft. Simple, yet efficient, and built to last. We’re proud to introduce the new range of Infinity inflatable kayaks; our range of high quality inflatables. Including versatile one, two and three person kayaks, perfect for those who want to go paddling without the need to load boats onto their roof, the infinity range are durable, fun and ready to go – just add air! River and lake paddling, easy moving water, recreation and holidaying. River and lake paddling, angling, family use and holidaying. Getting the right fit: 2. CHEST: Measure horizontally under the armpits around the fullest part of the chest and shoulder blades. 3. WAIST: Measure the waist circumference at the smallest part of the waist, often at the belly button 5. Arm Length: Measure the distance from the shoulder ball and socket joint to the wrist bone 6. INSIDE LEG: Measure from the ankle bone to the groin. WEIGHT: Remember to include all the gear you’ll be wearing when paddling. All measurements refer to body size, not garment dimensions. Getting the right fit: 2. BUST: Measure horizontally round the fullest part of the bust 3. WAIST: Measure the waist circumference at the smallest part of the waist. For most women this is about an inch above the belly button. 4. HIP: Measure the fullest part of the hips. This is roughly the area you sit on when you sit down. 5. INSIDE LEG: Measure from the ankle bone to the groin. WEIGHT: Remember to include all the gear you’ll be wearing when paddling. Getting the right fit: 2. CHEST: Measure horizontally under the armpits around the fullest part of the chest and shoulder blades. 3. WAIST: Measure the waist circumference at the smallest part of the waist, often at the belly button 5. Arm Length: Measure the distance from the shoulder ball and socket joint to the wrist bone 6. INSIDE LEG: Measure from the ankle bone to the groin. WEIGHT: Remember to include all the gear you’ll be wearing when paddling. Height measurements are the most important when buying for children. Please note that age ranges are provided purely as a guide. * Not all helmets are available in all sizes. Please see product descriptions for more information. 1. HEAD CIRCUMFERENCE: Measure around the largest area of the head, above the eyebrows and ears. 95 All measurements refer to body size, not garment dimensions. SPRAYDECK SIZING Cockpit Sizing Palm’s range of industry leading spraydecks are sized from 1 to 7 to fit a wide range of cockpit sizes and shapes. The graph below is a guide to which size spraydeck is most likely to fit your kayak. WAIST SIZING Measure the waist circumference at the smallest part of the waist (see diagram). This is often at or slightly above the belly button. Below is a guide to which size neoprene spraydeck is most likely to fit your waist. Palm touring and Nylon spraydecks feature adjustable waists to fit most paddlers (60 cm–127 cm / 24”–50”). Getting the right fit: 1. WAIST: Measure the waist circumference at the smallest part of the waist (see diagram). This is often at or slightly above the belly button. Pull the spraydeck waist tube up until the seam is above the hips. Palm have developed a range of fabrics manufactured to our own specifications. We have produced them to withstand the rigours of paddlesports to ensure an unrivalled level of performance. We insist on the highest quality fabrics available. These fabrics are then treated with the most effective DWRs (durable water repellent). We use the best coatings and laminates to optimize waterproofness and breathability for the conditions. Recreation jackets have a light, supple and very packable coating, while whitewater jackets, pants and suits employ a combination of fabrics, coatings and membranes to create a highly waterproof, breathable and durable laminate. High performance 4-layer fabric engineered for extended durability, waterproofness and breathability. 1 Supplex Nylon-6.6 woven face fabric. Chosen for a mix of soft feel and durability treated with a fluorocarbon Durable Water Repellant to prevent wetting-out therefore improving breathability. 2 Hydrophobic, microporous Polyurethane coating applied to the face fabric. The pores are too small to allow water droplets to pass through, but large enough for water vapour to pass through to the outside air. 3 Hydrophilic Polyurethane membrane laminated to the hydrophobic coating transfers water vapour molecules along hydrophilic chains to the coating. 4 Nylon 20D tricot mesh lining protects the membrane and disperses moisture to provide the largest surface area for moisture absorption and transfer. Performance 3-layer fabric which exhibits great durability, waterproofness and breathability with increased suppleness. 1 Supplex Nylon-6.6 woven face fabric. Treated with a fluorocarbon Durable Water Repellant to prevent wetting-out therefore improving breathability. 3 Nylon 18D mesh which protects the membrane and disperses moisture to provide the largest surface area for moisture absorption and transfer. 1 Nylon-6 woven face fabric. Treated with a fluorocarbon Durable Water Repellant to prevent wetting-out therefore improving breathability. 2.5 Diamond matrix print on the surface of the coating increases protection and improves moisture dispersal to improve against-the-skin comfort. 1 Woven face fabric. Treated with a fluorocarbon Durable Water Repellant to prevent wetting-out therefore improving breathability. 2 Hydrophobic, microporous Polyurethane coating applied to the face fabric. The pores are too small to allow water droplets to pass through, but large enough for water vapour to pass through to the outside air. 2 Hydrophobic, microporous Polyurethane coating applied to the face fabric. The pores are too small to allow water droplets to pass through, but large enough for water vapour to pass through to the outside air. PALM FEATURES Palm PFD Features FLEX FORMED FOAM Flex-Formed Foam is a major innovation in PFD design. It involves bonding foam into a pre-formed shape to curve around the body for unparalleled comfort. This also allows us to maintain high levels of flotation without increasing bulk. Try a Flex-Formed PFD on and the benefits will be immediately apparent. Flex-Formed Foam (F3) technology can be found in the Extrem, Amp, Helix, Kaikoura Tour and Taupo Tour PFDs. 3D BOX CUT Palm PFD’s feature a 3D Box Cut outer shell. The fabric is cut and stitched to match the profile of the flotation foam. This is especially noticeable at the waist where the Box Cut allows the waistbelt to sit against the body more effectively, preventing the PFD from riding up. A better fitting waistbelt prevents the PFD from being pulled off over the head and shoulders if a swimmer is pulled from the water. HIGH BACK DESIGN Many kayaks and Sit-on-Tops now feature seats which sit high up the back. The shape of the back in conventional PFD’s pushes users forward in these seats loosing the benefit of the comfort these seats offer. Palm have produced the Taupo and Omni models specifically for high back seats. Featuring a cut away foam back panel they maintain high levels of floatation with no loss of articulation. ISO CERTIFICATION ISO certification is the standard to which PFDs are now tested. Any new design since 2008 must have this certification. Palm was the first company to have products pass the ISO 12402-5 and 12402-6 (paddle sport specific) standards and we continue to take steps to ensure all our current and future PFDs are compliant with these standards. PFD safety is a core part of our ethos, this is why the majority of Palm PFD’s feature 20% more flotation that the ISO/CE standard and why WW models include up to 40% more buoyancy than the 50N requirement. Palm SPRAYDECK Features HIGHEST QUALITY NEOPRENE Palm use only the highest quality Diving Grade Neoprene in the construction of our whitewater neoprene spraydecks. Diving Grade Neoprene is more compression-resistant than standard neoprene due to it’s higher density, yet it offers the most stretch, to fit varying cockpit shapes and sizes. We use only 100% Chloroprene rubber (the highest quality neoprene), to ensure the best performance and durability. Kevlar® REINFORCEMENT We use Kevlar® laminated neoprene in critical high-wear points in our whitewater spraydecks. The Kevlar® knitted fabric is laminated to the outer surface in place of standard nylon to increase abrasion and puncture resistance around the edge of the deck. The reinforced panels are shaped to fully cover the keyhole-shaped cockpit to ensure extended durability. HIGH BACK TOURING CUT An increasing number of touring and recreation kayaks feature high-style seatbacks. The increase in height can interfere with traditionally cut spraydecks, so Palm have engineered a one-piece panel at the rear of our touring spraydecks, which provides room to accommodate this type of seatback. SPRAYDECK SIZING GUIDE Choosing the right spraydeck for you and your boat can be a minefield. To make things easier we’ve created an online fit guide; simply enter the name of your kayak and it’ll tell you what size deck will fit best. There are also useful guidelines, hints and tips to make sure you get the right deck for you. Check it out at http://bit.ly/spraydeck. Easy Glide™ Palm PFD’s feature Easy Glide™ strap adjustment. A combination of high quality friction free webbing and industry leading plastic adjustment parts, the result is an easy to use, secure fit system. We use Easy Glide™ adjustment on our shoulder, waist and side adjustment systems. Our premium WW designs feature a stainless pulley component, allowing a continuous failsafe shoulder strap without any bunching of webbing when tightened. HIGHEST QUALITY NEOPRENE Palm neoprene wear uses only the highest quality 100% Chloroprene (CR) rubber to ensure the best performance and durability. We use a combination of different outer fabrics for each specific function. Ultra Stretch in underarm areas where flexibility is paramount, Smooth Skin Neoprene lines collars and cuffs for comfort, unlined Mesh Neoprene at the chest for friction on surfboard decks and Reinforced Diamond Neoprene in high wear areas. THROWLINE FEATURES Palm throwlines incorporate over five years of feedback and ideas from our Team Paddlers. A few of the changes we have made include reducing the width of the bag, making it easier to hold and throw, and adding more reflective patches and easy to read length and strength information. Moby wetsuits use XBR Ti neoprene in all suits. Tough yet warm to wear in water thanks to the Ti lining that reflects heat. This economical material is Ideal for family beach use. YKK VISLON® ZIPS We use YKK Vislon® zips throughout our neoprene suits because, when it comes to quality, there really is only one choice. YKK zips ensure easy-action, jam-free operation, with sand and saltwater resistance and outstanding strength and durability. All zips are backed with neoprene zip flaps for comfort and added waterproofing. Palm’s attention to detail in the construction of our suits is unrivalled. ADVANCED SEAM CONSTRUCTION Construction is specific to function. Cold water steamer suits are double edge-glued and blind stitched to create a strong, watertight seam. Summer suits, shortjohns and all Moby suits are flatlock stitched to prevent chafing. Our Freedom series of wetsuits are both double-glued and Mauser stitched to create an extremely durable seam. All Palm bags conform to the ‘clean line principle’ and the bag is easily detached from the rope for use in a rescue situation. We only use figure-of-8 knots in our throwlines. ZAMBEZI BELT The Zambezi Belt has been designed for compatibility with Palm throwlines and attaches via a stiff, attachment point from which it is easier to detach and re-attach. It features a 3 m towline with pouch, for emergency tows. It is mounted on a thermoformed foam belt for comfort and floatation. TOWLINE FEATURES All Palm towlines are side-opening. This is an extremely important design, as it greatly improves ease of deployment. Now, the user can simply detach the karabiner or clip, attach it to the craft in need of towing, and paddle away. The floating line feeds out of the Velcro sealed pouch, automatically opening the flap, and further deploying the line. ...and regularly lubricated. Palm drysuits utilize several types of waterproof zips. These general guidelines are good for all of them. SURFACE IMMERSION SUIT ZIP CHOICE We spec our SIS suits with dry zips depending on product usage. BDM brass coil zips (used on the Stikine) are renowned for durability and watertight performance and are the dive industry standard. The Torrent, Element and Aleutian models feature TIZIP Superseal zippers. Tested to 700mbar these are exceedingly watertight whilst allowing a little more flex that the suits they are fitted to demand. The Cascade SIS uses a TIZIP Masterseal zipper. Suited to lower water pressure situations, this zip is the most flexible design, perfect for over the shoulder placement. CLIMBING COMPOUND RUBBER The Palm Merrell Gradient boot uses highly tacky climbing compound rubber that has been designed specifically for grip on wet slick surfaces. Combined with the custom sole pattern, the boot is razor siped. This process puts shallow cuts across the sole in a tight pattern which are designed to open up and break water surface tension resulting in better grip, especially on rock. CUSTOM SOLE UNITS Our neoprene range of watershoes are designed specifically for life in and around the water, where the sole unit is the most important component. It must provide stiffness and cushioning for scouting and portaging, flexibility to fit inside the kayak or canoe and, most importantly, grip and traction on wet rock and mud. Moulded in durable polyurethane with neoprene uppers for warmth and comfort. Gear for Women™ All Gear for Women™ is rigourously field tested by the best female paddlers to ensure fit, function and performance. Featuring ergonomic sizing taking into account female paddlers smaller torsos, neck, arm and waist measurements, along with cuts that allow freedom of movement and comfort in the chest. Designed from the ground up, Palm is committed to specific product development for the Gear for Women™ line. PADDLING SPECIFIC REINFORCEMENT We have reinforced areas on the footwear specific to kayaking and canoeing with tough, textured, vulcanised rubber overlays. The high wear areas tend to be around the heel and toes, where they come into contact with the interior of the boat and the edge of the foot. Vulcanised overlays are also used to stiffen the shoe around the insole to provide stability when hiking. ARTICULATED CUT Palm apparel features highly articulated panel cuts. We remove all seams from the high flex underarm area, increasing freedom of movement and reducing seam stress whilst decreasing weight. Articulated garments are ‘pre-bent’ at the elbows, knees, sleeves and waist to improve mobility and reduce excess fabric. Our premium WW lines feature a new Super articulated cut, wrapping the garment around the body resulting in a closer fitting, more dynamic garment. WELDED SOCKS SIS suits and pants feature welded sock technology. Incorporating a fitted cut for fit inside watershoes they are shaped for user comfort when moving around. The socks have been designed to minimise seam wear, with all seams flat welded, then tapped inside and out. The result is a durable and comfortable part. However, the rigours of the water environment mean socks come in for a hard life so we have designed them to be easily removable for repair or replacement. REINFORCEMENT Many garments require high wear performance in key areas. We use two methods to achieve this in our apparel. Overlaid panels refer to fabric placed on top of the main garment material resulting a double layer of highly durable and watertight protection. Cut-in is where high wear fabric is stitched into the garment in place of the main body material. This method is more flexible and breathable. PALM APPAREL CARE INSTRUCTIONS All Palm apparel is handmade with the care and attention to detail that we insist on. The design of each garment has carefully tailored to keep you dry and warm whilst providing optimum freedom of movement when paddling. Our commitment to you is to provide unbeatable performance and durability from your Palm apparel. Loosely fold up your gear and prevent latex gaskets coming into contact with abrasive dirt, sand or oilbased substances (including sunscreen and insect repellent). Try not to leave your gear in a damp condition for long periods of time. Wash and dry within 24 hours. Hand wash in fresh water only to a maximum temperature of 30ยบC. To remove dirt or grease use a non-detergent soap (e.g. Nikwax Techwash) and rinse well. Natural latex gaskets are very sensitive to sunlight and also vulnerable to damage from oil based products (sunscreen and insect repellent). Remove all watches, rings and jewellery. Gently place your hand and wrist inside the seal and with your other hand ease each seal on one at a time. Use both hands for the neck seal, gently stretching the aperture to allow the seal to pass over your head. Finally, remove any excess air from the paddle jacket by venting the neck with two fingers. Do not tumble-dry your paddle gear. Allow garments to dry naturally and away from direct sunlight. When removing your paddle top, it is essential that this is done with great care by reversing the dressing procedure. Once dry, check to see if any running repairs are necessary. If damage has occurred either through wear and tear or careless use, Palm offers an excellent repair service. The size of the latex gaskets on all paddle tops are governed by the size of the garment. However, should a seal feel excessively tight it is possible to achieve a custom fit by careful trimming with sharp scissors - neck seals have concentric rings specifically for this purpose. Trimming should always be undertaken with extreme caution. Ideally, the garment should be worn outdoors in cold weather to assess the size required. Correct storage of your Palm paddle gear will noticeably increase its life. Store in a cool place away from direct sunlight and try to avoid leaving equipment in your vehicle during warm weather. Avoid compressing your gear. Palm recommends the frequent use of a siliconebased protectant (e.g. McNett Sealsaver) to extend the life of latex gaskets. This should be applied after every two or three outings and as prescribed by the manufacturers instructions given on the bottle. Please bear in mind that paddle top latex gaskets are not 100% watertight. Movement will always create a minor amount of seepage, but this is usually very insignificant and should not adversely affect your comfort or enjoyment. WARRANTY Palm Equipment International Ltd products are guaranteed for 12 months from the date of consumer purchase. The guarantee is only valid to the original retail purchaser (“Consumer”) against defects in material and workmanship. If a product is found to be defective during the first 12 months of use due to a manufacturing failure, Palm Equipment International Ltd will repair or replace at our option any defective part. The product may be sent directly to Palm Equipment or sent to your represented distributor or retailer (carriage/freight prepaid). For warranty claims, you must enclose the original invoice or receipt number and date of purchase, along with your name, address and daytime contact telephone number or e-mail address. Products outside of the warranty can be repaired (please see repairs list). Each garment is assessed individually and owners are advised on costs before repairs are undertaken. Warranty return/repair forms can be downloaded from our website: www.palmequipmenteurope.com/gear/customer_service.php This guarantee does not cover normal wear and tear, nor damage resulting from abuse, alteration or unauthorised repair. Due to the vulnerability of latex seals and fabric socks, no guarantee can be given on these once the garment has been worn. Clothing must be clean and dry before being sent back for warranty and repair work. Wet or dirty products will not be repaired and will be returned to sender. Please allow up to 21 days for items to be returned. This guarantee does not affect your statutory rights. 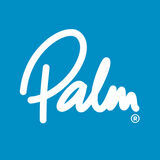 Find us on Facebook or check the Palm blog for the latest news from the Palm team.